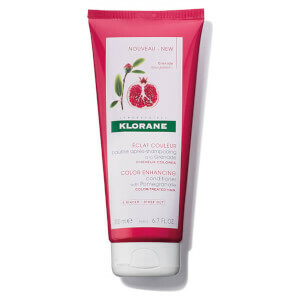 Treat coloured hair to the KLORANE Conditioner with Pomegranate; a radiance-reviving formula that works to replenish, revitalise and repair locks from root to tip. 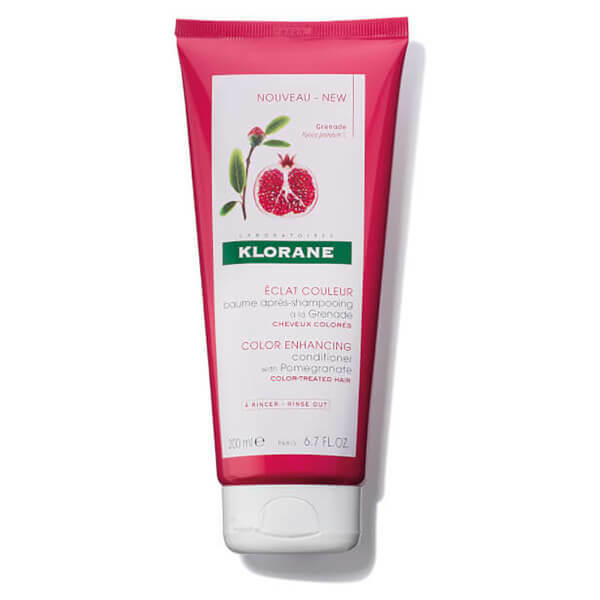 Fortified with Pomegranate, the weightless conditioner infuses strands with long-lasting moisture and hydration, whilst locking in colour pigments into the hair fibre to naturally preserve vibrancy. Strengthens and protects hair so you can experience healthy-looking, luscious locks with enhanced shine. Sulphate, paraben, silicone and sodium chloride free. After using shampoo, apply conditioner to hair lengths and ends. Leave on for 2 to 3 minutes. Rinse. In case of contact with eyes, rinse thoroughly. Water (Aqua), Cetearyl Alcohol, Alcohol, Hydroxypropyl Starch Phosphate, Dicaprylyl Carbonate, Alcohol (Alcohol Denat), Behenamidopropyl Dimethylamine, Ceteareth-33, Benzoic Acid, Cetrimonium Chloride, Citric Acid, Fragrance (Parfum), Hydrolyzed Wheat Protein, Phenoxyethanol, Polyquaternium-37, Punica Granatum Extract, Red 33 (CI 17200), Sodium Benzoate, Tocopherol, Trisodium Ethylenediamine Disuccinate.